I (Cherry) had been to vacation, and as you know, it is really dry in the hotels. I brought some facial sheet masks to let my skin keep moist. Mostly, I brought Shiseido Benefique Mask Power Repair what I had already reviewed, and some other sheet masks. 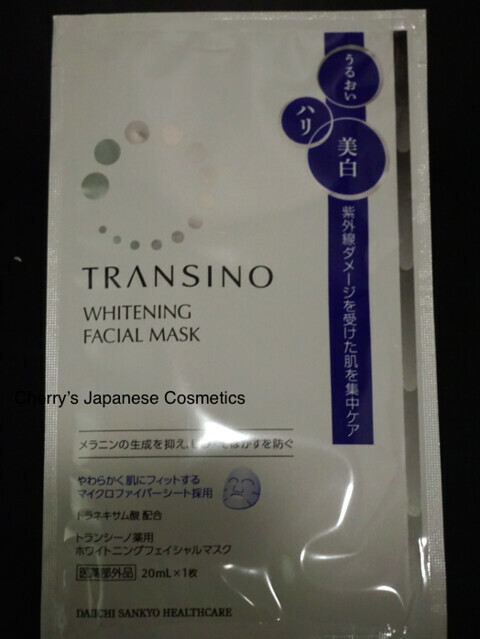 First is Transino Whitening Facial Mask. To be honest, I was afraid of using this, for me, other products by Transino gave me sting on my skin. Anyway, let me use this. I am not pretty much sure about whether you can see the quality of the sheet itself. Hmm, not pretty much “great” like Shiseido, yet it is also true that the price zone is different between Shiseido Benfique and this Transino. This is really affordable product. There are no perfume, and that is what I like. I applied it on my face, and there are no sting. 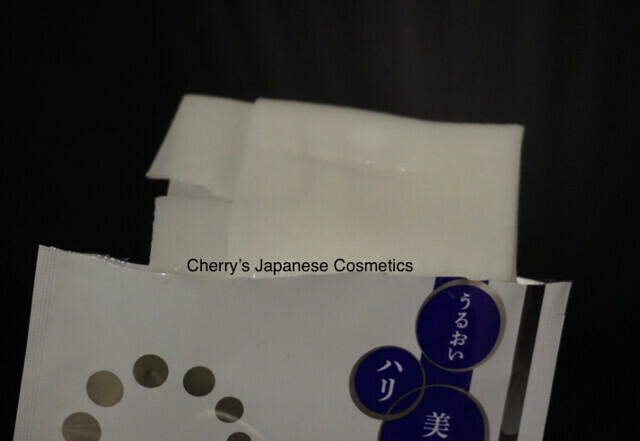 When I used it, my skin was a little bit sensitive period. Maybe for me, when I use it my skin is fine, I do not think I will get any pain. Please check the latest price, and order in JPY Branch!